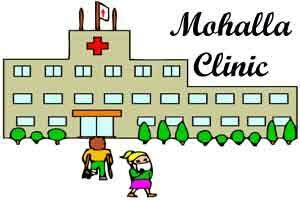 New Delhi: The Delhi government would construct 530 mohalla clinics and 230 school clinics by October 30, Deputy Chief Minister Manish Sisodia said today while presenting the budget for 2018-19. “In another four months, after the recruitment of staff, all these mohalla clinics will be inaugurated,” he said, defining timelines for various schemes the government intends to implement. The government plans to roll out Universal Health Care Scheme, which will provide health insurance to all residents of Delhi, by December 1, 2018. Installation of CCTVs at government schools is expected to be completed by January 2019, and induction of 1,000 electric buses by March 2019, he said. The government would procure 1,000 new buses under the DTC, 40 of which are expected to arrive by November 20 this year. Subsequently, 120 buses will arrive every month for eight months, he announced. The decentralised Sewage Treatment Plant of 20 MLD capacity in the Burari area will be commissioned by December 2019. “22 MLD STP in Chattarpur by 31 March 2020. 93 MLD STP in Kirari area and 115 MLD STPs each in Narela, Jindpur and Palla will be ready by March 31, 2020. STPs in Badarpur, Najafgarh, Kanjhawala and Mundka too will be ready by 31 March 2020,” he said. The government announced that Doorstep Delivery of Public Services, one of its flagship schemes, will be launched by June 15 this year.